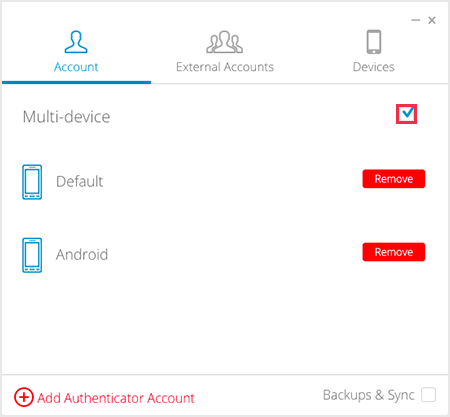 Authy Multi-Device can be used to allow multiple trusted devices to use the same Authy account. This can be a good option for users with a number of devices like a mobile phone and a tablet, or to quickly enable a new phone. 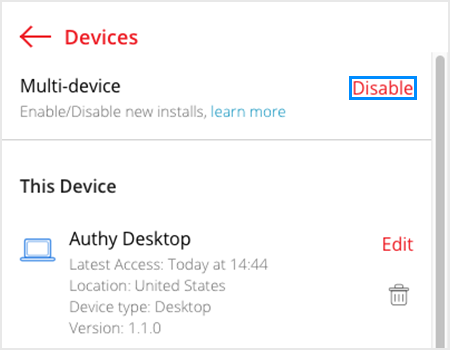 In fact, when you first install the Authy app on any device, we encourage you to install it again on another device like a tablet or desktop, to use as a backup. 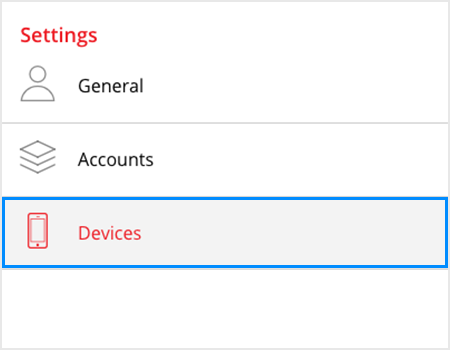 Once your backup device is enabled, disable Multi-device to prevent the risk of any unauthorized devices being added (This will still allow you to access your account from all existing devices). From the Devices tab, tap the Allow Multi-device switch to enable or disable. Click Enable or Disable next to Multi-device. 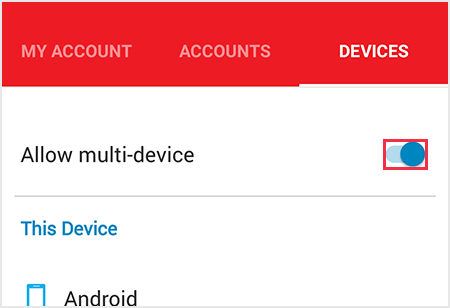 From the Devices tab, click the Multi-device checkbox to enable or disable.